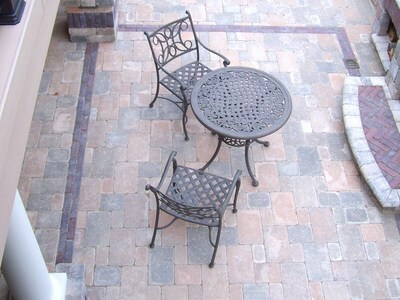 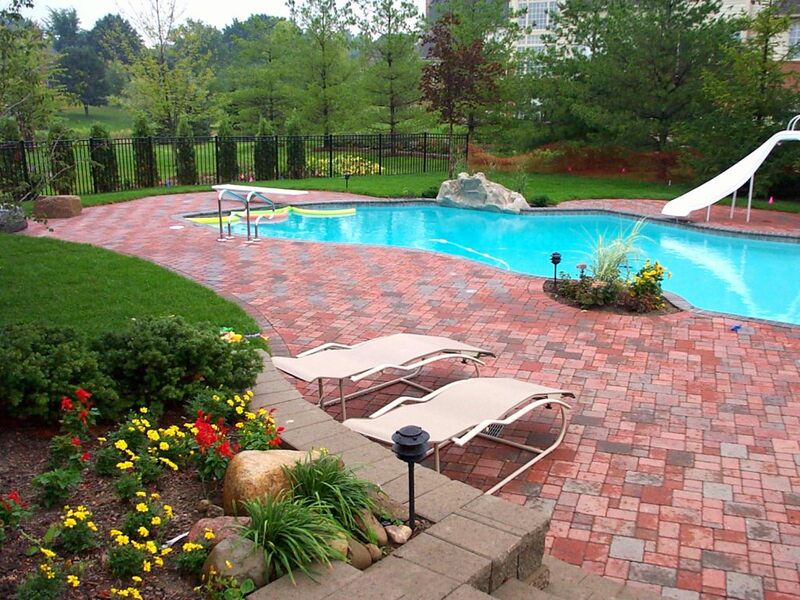 Patios, walkways and driveways can now come alive with the many patterns, colors and textures of brick pavers. 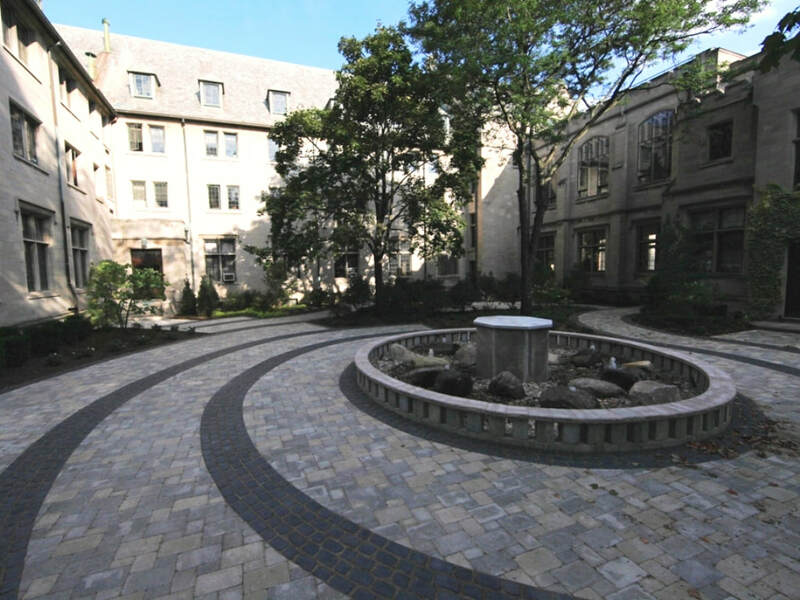 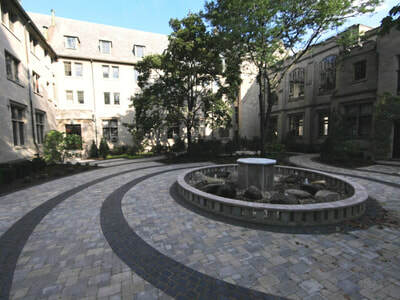 We can define spaces, as well as enhance interest with a myriad of custom brick paver inlays and creative paver patterns. We design patios that offer you space in which to relax on one of our custom benches, dine, entertain, or simply enjoy a quiet moment during your hectic day. 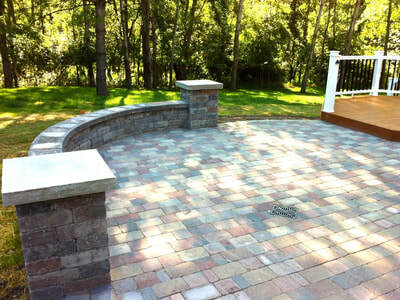 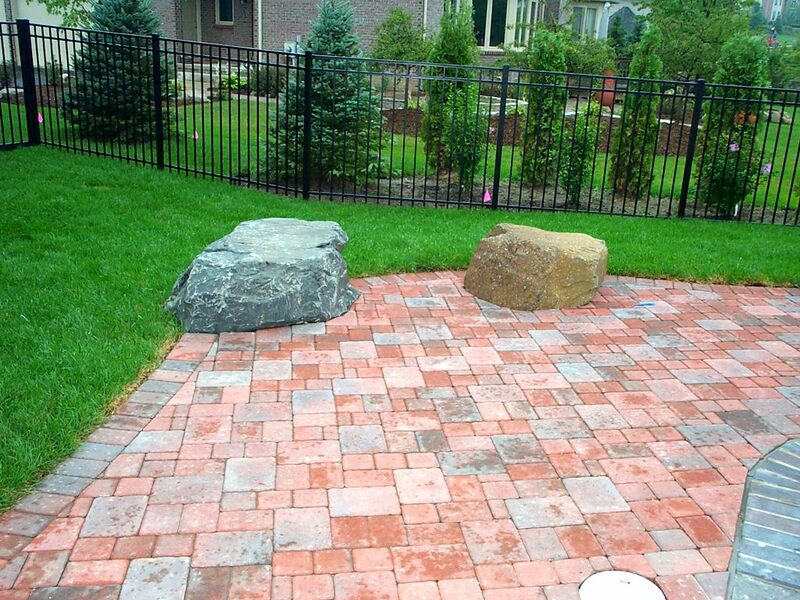 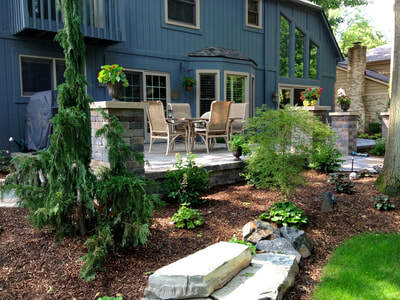 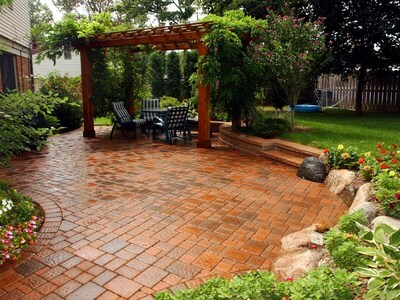 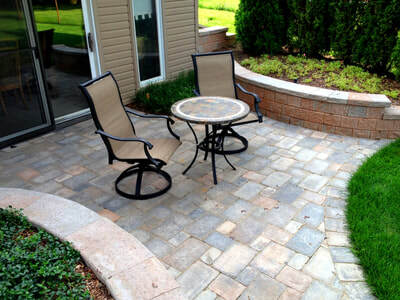 ​Would a raised paver patio bring needed dimension to your otherwise "flat" back yard? 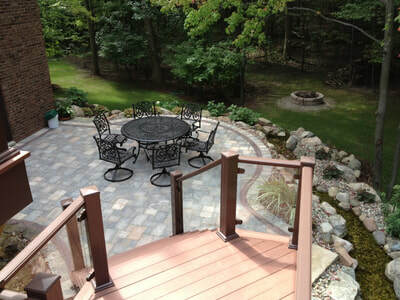 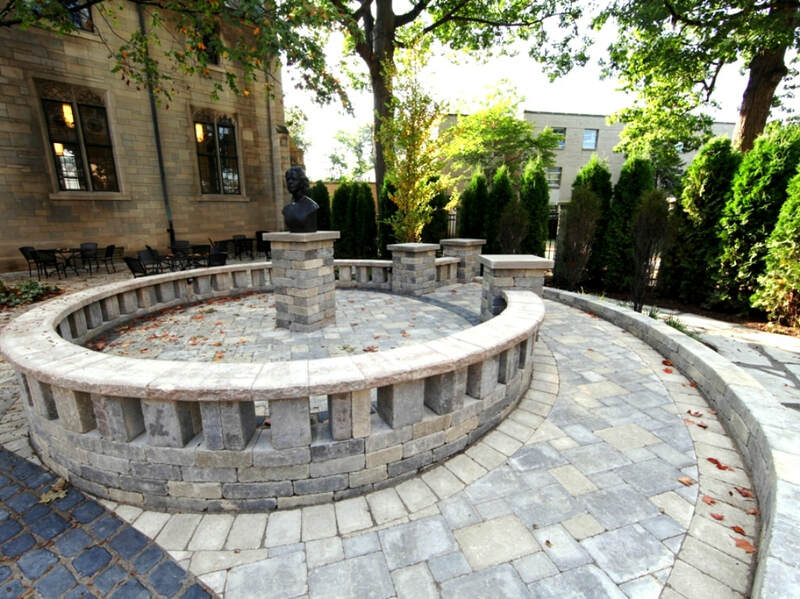 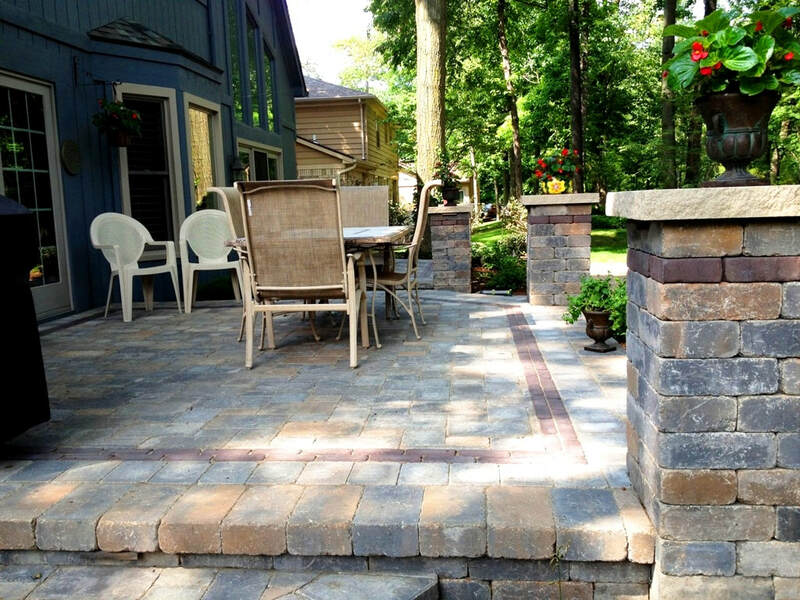 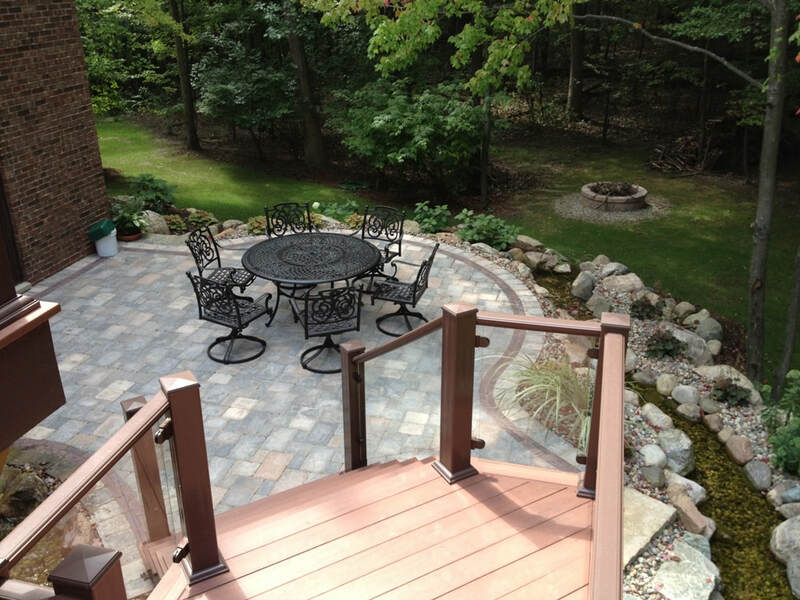 Through the use of boulder, ledge rock or modular concrete retaining walls, our staff can create multi-level patio areas that are both functional and inviting. 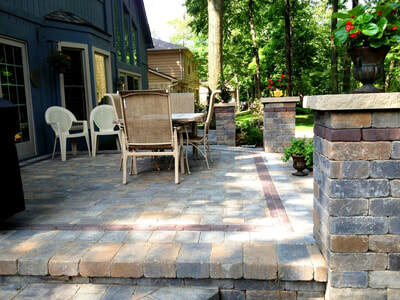 You can even choose an “old world” look with “tumbled” or weathered styles. 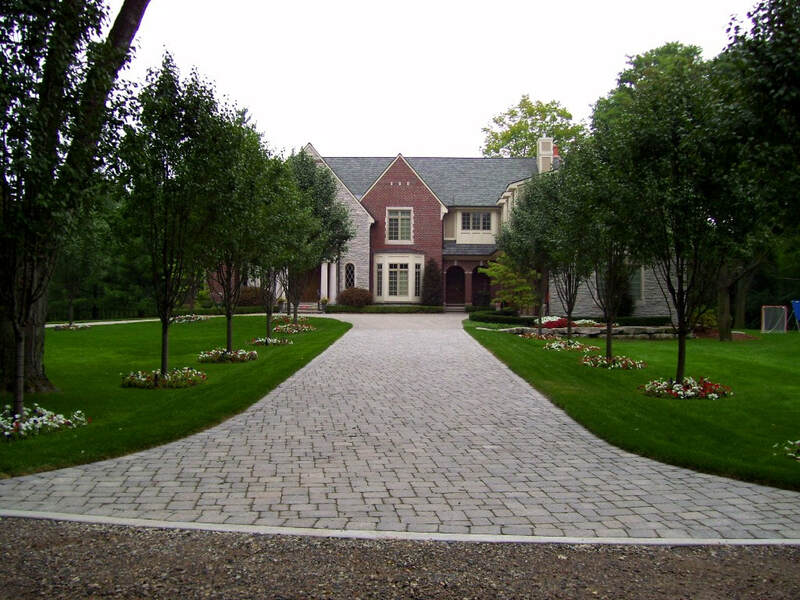 Today’s brick pavers are virtually maintenance-free, and our preferred Unilock line carries a manufacturer’s lifetime warranty.